720P HD Camera Glasses Hidden Spy Camera for Clear Digital Video Recording. 100% tested by our quality control system. We preload all small parts, including: Sponges for LCD and touch connectors, Camera Ring, and Anti-dust mesh for earpieces. 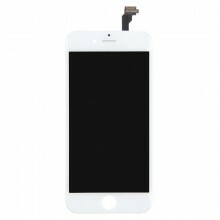 No have appearance and function problem, such as scratch, spot, dead pixel, dirty, distortion and other LCD screen problem. Perfect EVA box packing, 100% safe on delivery. Can be used to repair a broken or cracked screen. Should be installed by an experienced professional. Does not include any repair or replacement instructions. We 100% test all our screen before shipping out, they are High copy quality and 100% work. We only sell AAA quality and original screen, no A or B or lower quality! Quality is most important for us. Please see how we control our quality. We offer 6 months warranty. Replace defective LCD and charge for return cost. Please test all screen before installation, wrong operation may cause damage to screen, we won't send replacement for it. Click the button below to add the 4.7 inches AUO(high copy) Display Screen for iPhone 6 White to your wish list.